I like to cook and I definitely LOVE to eat, but we often find ourselves eating the same meals monthly, if not weekly. And I’m totally OK with that! 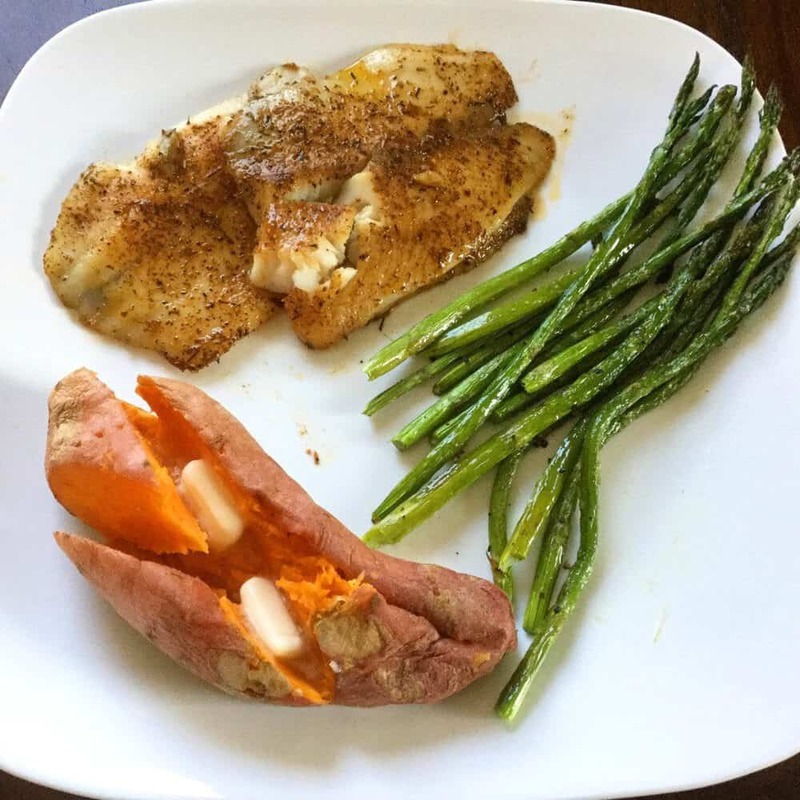 Simple meals that are decently healthy and we love to eat… Why not eat it again and again? So I wanted to share a list of quick and simple meal ideas that are meals that we eat quite often. Most of these meals you don’t even need a real recipe for. 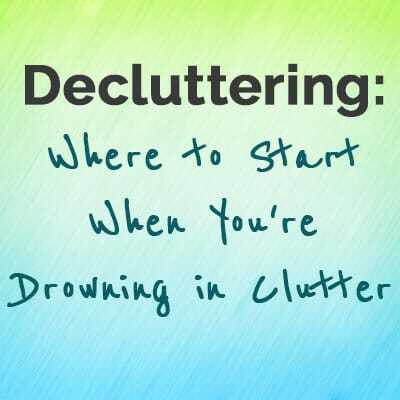 And most of them are made of foods that we always have on hand. Yes, we eat some processed foods. I’m all about everything in moderation, and a few processed ingredients can make a meal much simpler and faster to put on the table. We do make an effort to have fresh fruits and veggies in each main course or as a side dish. We eat tacos A LOT. They just always sound good to me! We stock up on taco seasoning at Aldi every few months because theirs is my favorite and it’s really inexpensive. Then we just cook up either ground beef or chicken with the seasoning. We try to keep light sour cream, tomatoes, lettuce, and tortillas in the house all the time. I like to make fresh salsa in the blender to go with tacos, which takes less than 5 minutes and we’re good to go! It is so easy to keep ingredients for spaghetti with meatballs on hand! Pasta, jarred spaghetti sauce, and frozen meatballs all keep for a very long time. We just warm up a few meatballs in the microwave and add them on top of the boiled and drained noodles. Then add some heated sauce. We usually serve spaghetti with meatballs with whatever vegetables we have. If we don’t have anything fresh, frozen or canned green beans go great with this! 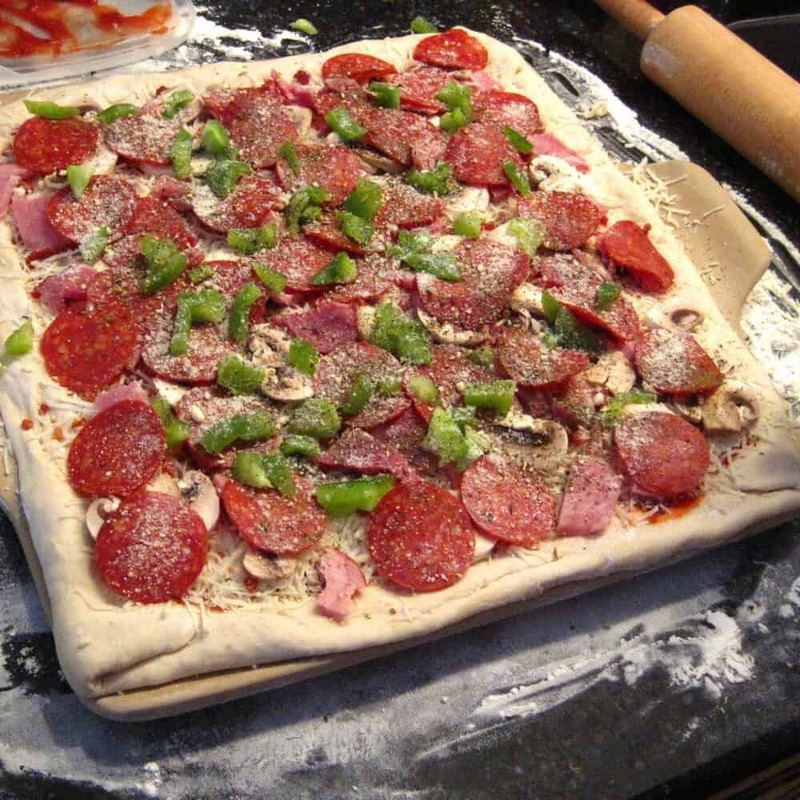 We buy frozen pizza dough balls in bulk at Sam’s club or GFS, but it’s super simple to make your own pizza dough with a few basic ingredients. We always have shredded mozzarella and pepperoni in the freezer (when we know we eat it all the time, we stock up and freeze). I use spaghetti sauce for the sauce and add on whatever fresh veggies we have too. 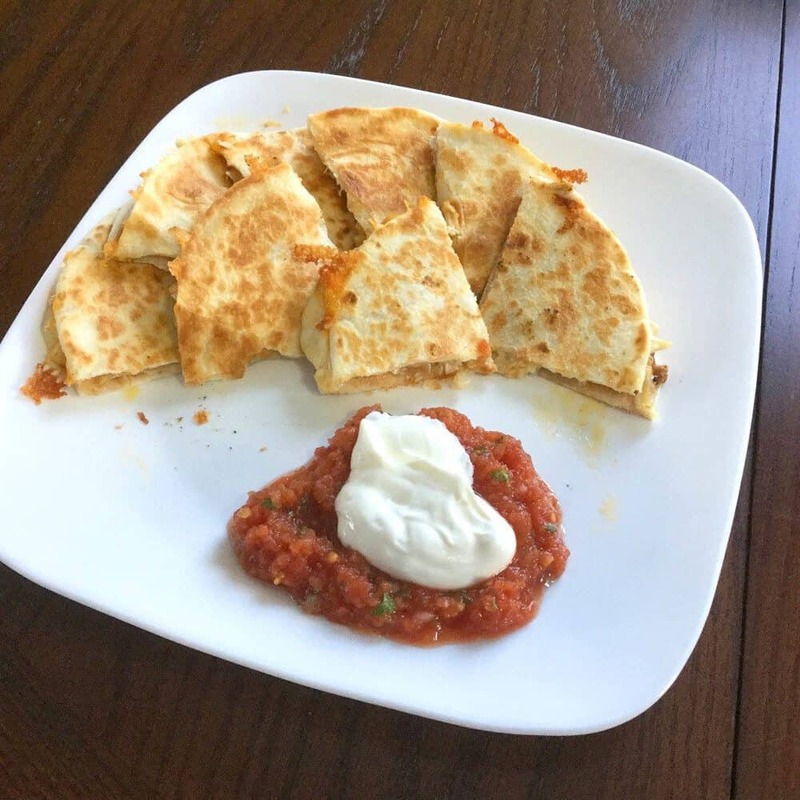 You can make quesadillas with whatever you have on hand. Our favorite version lately has been with refried beans, shredded chicken, a sprinkle of taco seasoning, and whatever cheese we have. You can read here about how to always have cooked, shredded chicken on hand to make meals faster. We serve quesadillas with fresh salsa and light sour cream with a side of fruit. Breakfast for dinner can be really quick and filling. We like to sauté whatever veggies we have in a bit of butter or olive oil. Then add in the eggs and a little meat if you have some. Scrambled eggs with veggies can be served with toast or on a tortilla with some salsa. Our favorite combo is sautéed onion, green pepper, and mushroom and real bacon bits with the scrambled eggs on a tortilla. If you can’t tell, we eat a lot of tortillas! I used to feel a bit intimidated by fish, but it is really quick and easy. It only takes 5-10 minutes to cook in a pan with a bit of olive oil over medium heat. You can sprinkle on whatever seasoning you have. We’ve been eating tilapia about once a week. Asparagus has been on sale which only takes 10 minutes in the oven at 450° with a little olive oil, salt and pepper. We make up a quick box of rice or microwave a sweet potato to go with this. I can pull this meal together in 20 minutes and it makes for a delicious, healthy feast. Another quick and simple meal idea is a mashed potato bowl. We get the packets of instant mashed potatoes that only need some boiling water to make them up. Then we warm up some frozen corn. Add some shredded chicken. And top it off with a bit of canned gravy heated up. Mashed potato bowls are delicious and filling. It’s like a whole chicken dinner in one bowl. Plus it’s way faster to whip up! 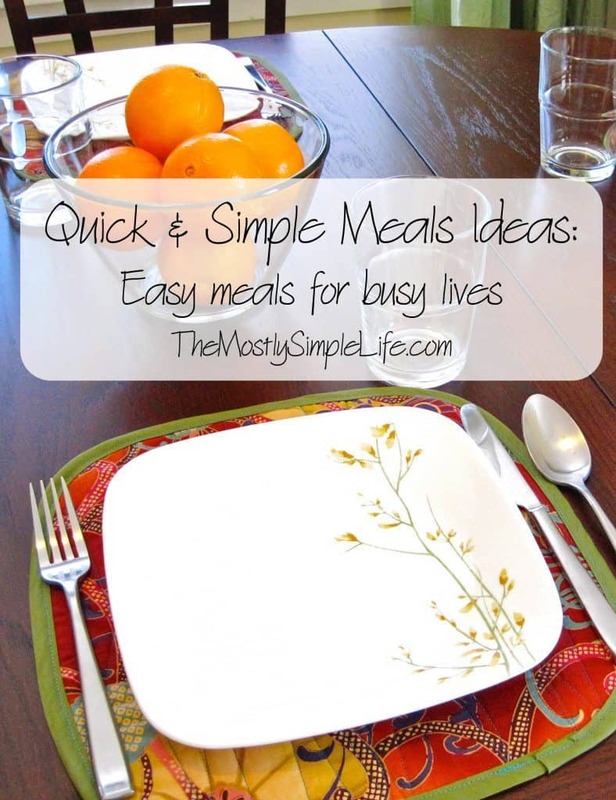 ⇒What quick & simple meals do find yourself making all the time? 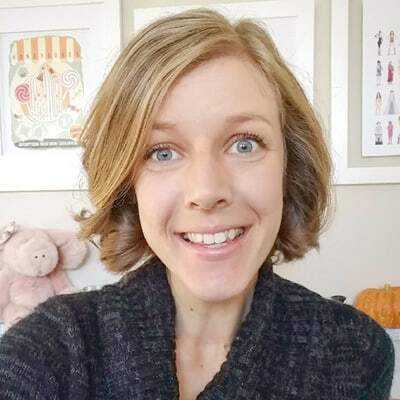 It’s fun to hear what meals are “regulars” for different people! We had rice bowls last night, so quick and yummy! These all sound delicious! I don’t mind cooking, but I’ve been a lot busier these past few weeks, so quick meals are a blessing! I will definitely be adding some of these to the mix! Thank you for sharing, Christine! Thanks Erin! It’s so hard to make up a good meal when you’re super busy. We make all of these things, but we also do soup and sandwiches often. It’s quick and easy as well! Good one! We eat a LOT of soup. Yes to all of these easy and delicious meals! Tacos are definitely a household favorite around here! I had tacos last night! I love how easy they are to make. Fish and veggies is also a staple in our household. You should try it! We got my parents hooked on them and it’s a regular meal for them now too. I love all these. 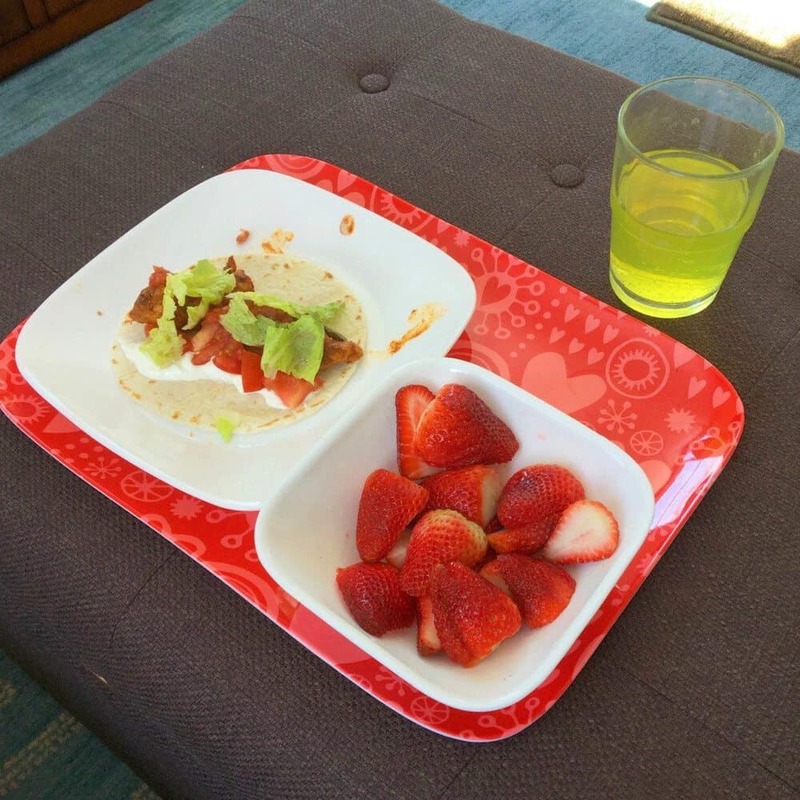 Tacos are definitely a staple around our house too, as are quesadillas and pizzas! Our meal rotation is very similar to yours. We don’t eat much meat, so we add a stirfry and a curry to the mix and we’re good for about a week. Yum! We haven’t had stir fry in a while, but we love it. 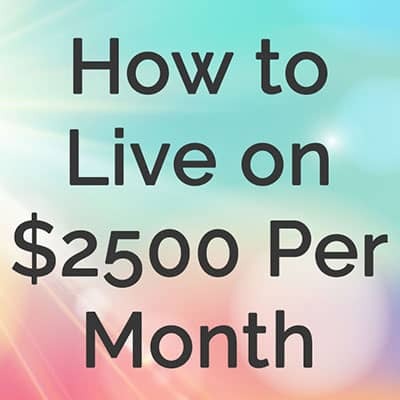 Thanks for linking up on Frugal Friday! 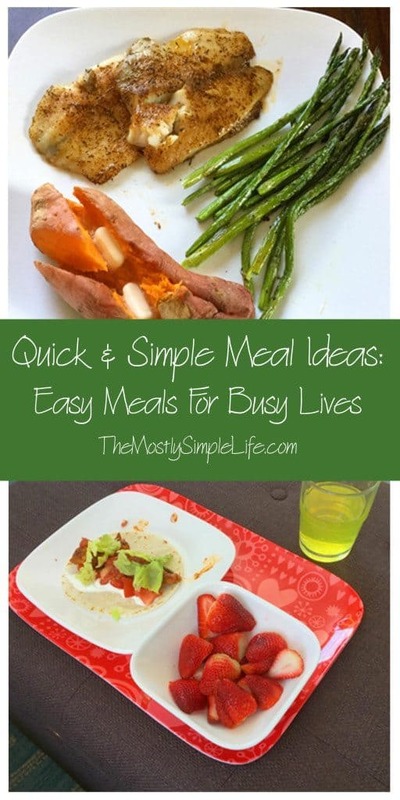 Great quick meal idea for busy people! Thanks Kyle! And thanks for featuring me!